Handyman Services, Asheville, NC | Off Duty Fireman Construction Inc.
'); // });Handyman Services, Asheville, NC | Off Duty Fireman Construction Inc.
Let our handyman services make your to-do list for your home disappear. Has your to-do list of projects around your Asheville, North Carolina home become a bit too much for you to handle? Here at Off Duty Fireman Construction Inc., we have the solution. Our handyman services are ideal for a wide variety of tasks you need done, including painting, junk removal, home repair, deck repair, carpentry, and more. 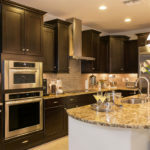 We are pretty much a jack-of-all-trades with a team of professionals that includes experts in each type of home repair, renovation, or restoration. Because we are a licensed general contractor, we can handle anything from simple handyman services to your more involved projects, such as renovations and disaster restoration, so you’ll only need one source for everything you’ll ever need for your home. We began serving the Asheville area in 2001 with customer satisfaction and personal service being of the utmost importance. We also believe in giving back to our community, so we support several charities and organizations to honor fallen soldiers, veterans, firefighters, and children. When you contact us for handyman services, you are also supporting these fine causes. We put the same high level of quality and attention to detail into our handyman services as we do all our construction and renovation services for residential and commercial properties. Our team is knowledgeable, friendly, courteous, and punctual, so you can be confident your experience as you check things off your to-do list will be exceptional. Call us today to discuss what you need done at your home or business. With our unconditional customer satisfaction guarantee and warranties, you can be confident of a job well done.